My absolute favorite flower is the Peony. It also happens to be the one flower my husband does not want me to grow! The reason is the ants that Peonies need to help open the blooms. Every year, my husband turns into Arnold Schwarzenegger and wages war against the ants in our yard. He's tried everything to get rid of them, from homemade concoctions, chemicals procured from the store, and fire (I don't recommend this route, it left bare patches on our lawn for years!). So needles to say, he doesn't want me to grow anything that will attract his enemies! But guess what?!?! 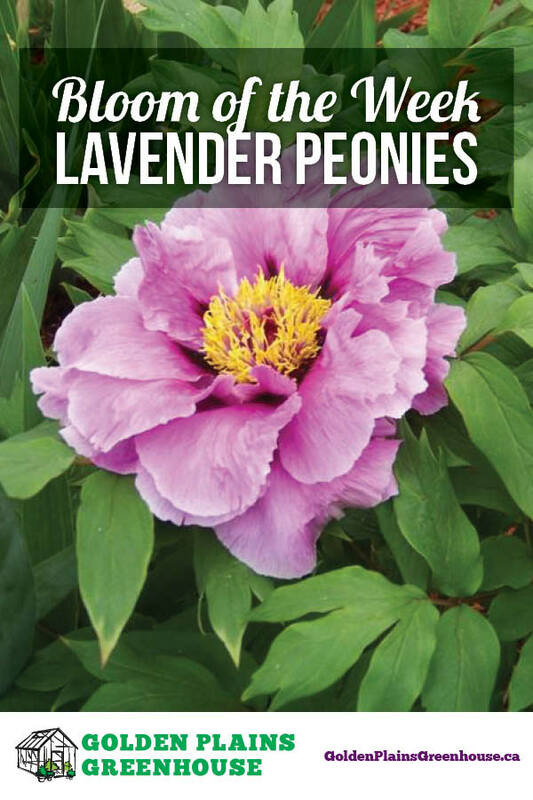 The Lavender Tree Peony is different. This Peony blooms without any help from ants! Not only that, the Tree Peony also takes care of the one thing I didn't like about Peonies - they don't need any supports! That's right, they grow on wood stems instead. I think I'm in love! ​The Tree Peony blooms in mid-late spring with massive, fragrant blossoms. They will be slow growing in the beginning (possibly the first few years), but once established, a mature Tree Peony can have over 50 flowers, blooming continually for about two weeks. These Peonies are deer and rabbit resistant, need about 5-6 hours of sunlight a day, and do not like to be over-watered. Also, unlike your typical Peony, you won't need to cut these back in fall. Tree Peonies are grown on "old wood", meaning the blooms will regrow on last years stems.